It’s cooling off outside. Even denial can’t keep the house warm. 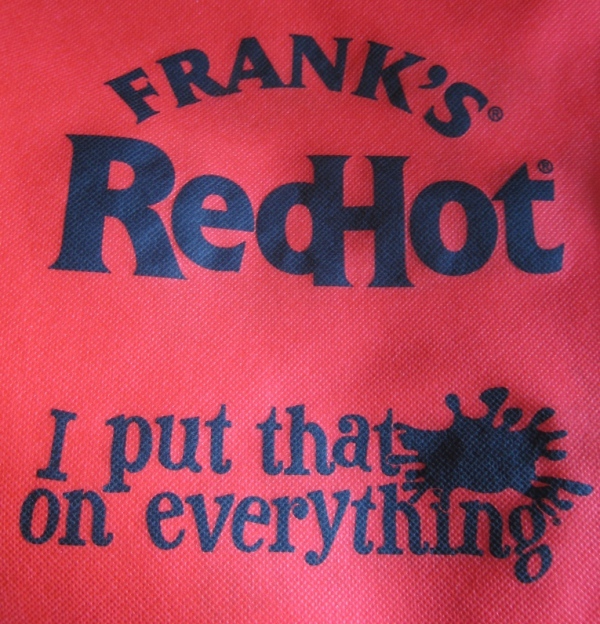 So to create a little natural heat indoors, we break out a bottle of Frank’s RedHot sauce and forget about the weather. 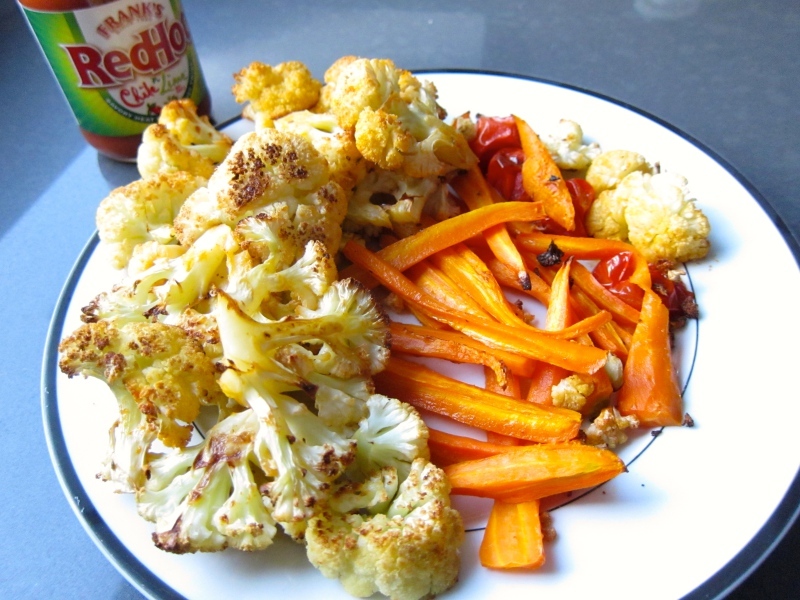 This wee recipe is so easy and so tasty, that I’ll bet you’ll be redhot to try it ASAP. 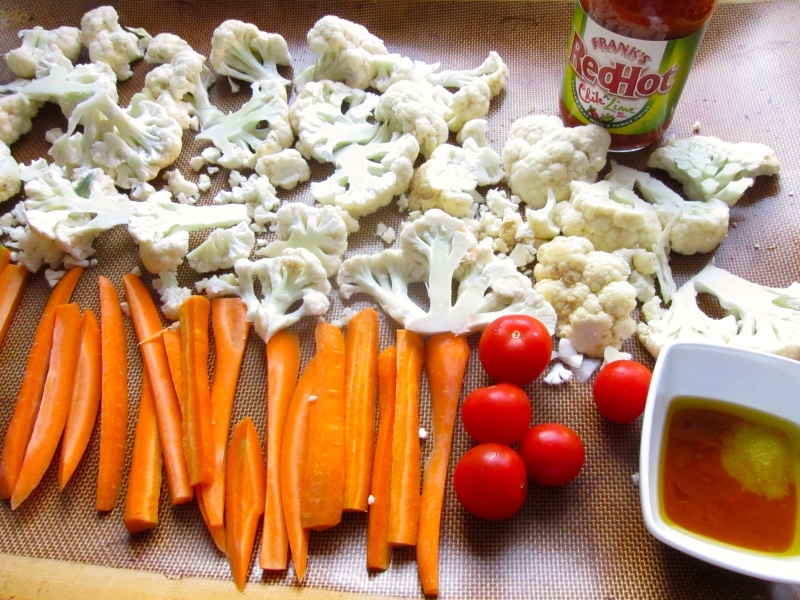 Lay veggies in a single layer on a baking pan. In a small dish, combine oil, hot sauce and salt. Brush sauce on veggies. Roast for 30 minutes, turning once at halftime. Check periodically and remove any veggies that are softened and browned. Keep the bottle of hot sauce handy for dipping, cause some like it even hotter! Serves 4. You’re invited to attend a Hotluck Party. What the heck is a Hotluck Party? you ask. It’s just like a Potluck Party, my favourite kind, only you come armed with a dish that includes a decent amount of Frank’s RedHot sauce. There’s a brand new Soda Stream in the house, so there will be plenty of lemon flavoured bubbly water to extinguish the flames. Get your recipes ready, hike up the heat, and get cooking! 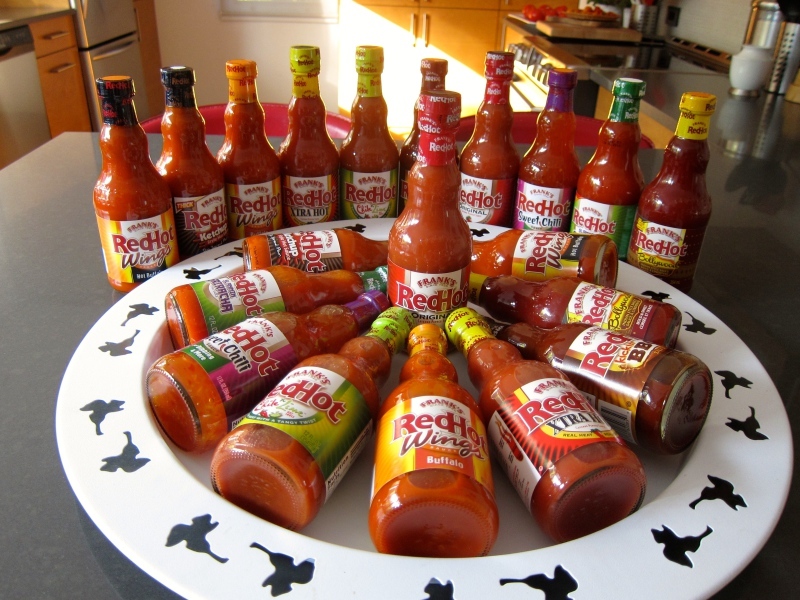 Use your own Frank’s RedHot sauce or come over and select a bottle from the nine flavours available. There are a limited number of spots so RSVP – [email protected]– to get in on the fun. Have you heard about the new restaurant called Karma? There’s no menu; you get what you deserve. Betcha wanna know if hot sauces are good for you. Have you read rankings of the 10 best hot sauces on earth? For the past 6 months or so I’ve had a hankering (I love that word) for hot and spicy. I gladly accept your invitation for the 20th. So, is Frank your cousin? How come you have so many bottles? Where do I get that stuff in our neighbourhood? I have to start working on a recipe! So many questions! I bought Frank’s RedHot sauce at Costco. I’m sure it’s at all the main grocery stores. Will check next time I’m at Metro. I’ll be reviewing Frank’s cookbook soon so I tried his hot sauce and loved it. I asked for samples to try out and give out to JC readers and they obliged with all those bottles. Hence we’ll celebrate with a Hotluck party. Stop by to pick up a bottle. You can choose your favourite flavour. Great new format– lively, easy to read, as appealing as the recipes. 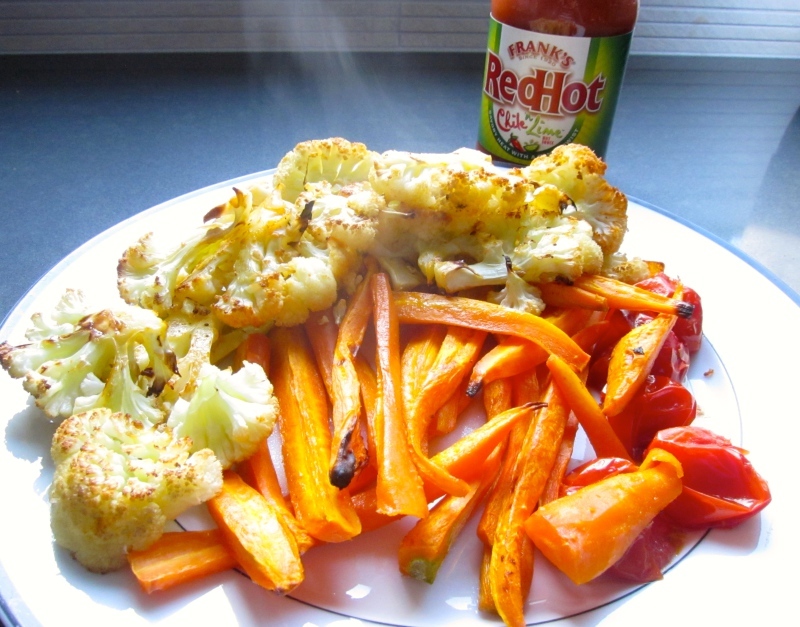 Love the layout of the Hot Sauce bottles on the plate; just like the June Taylor Dancers in their pinwheel formation! Thanks Joanne. I’m still jittery about the new format. Hard to adapt to change. I love the layout of the hot sauces too! They do look like dancing bottles. Any good Jittery Cook logo ideas?